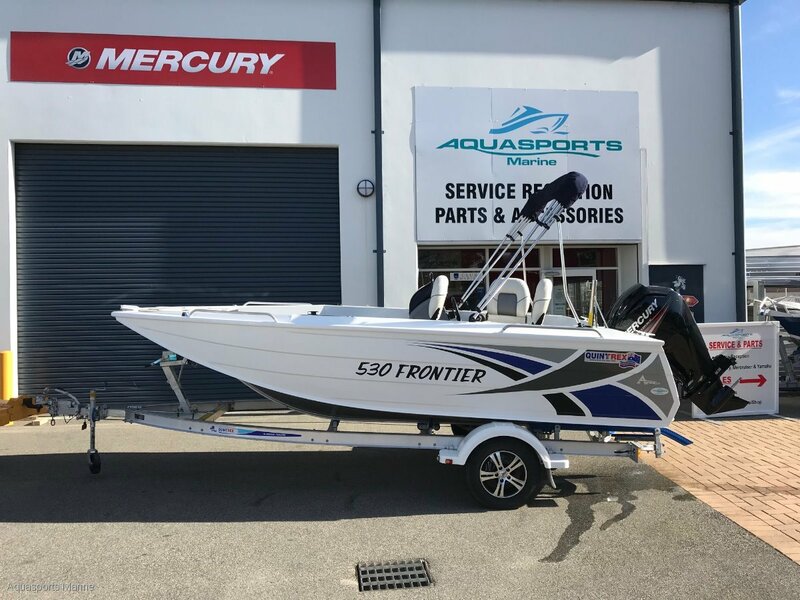 Brand New Quintrex 530 Frontier Side Console with Apex hull now in stock - Quintrex's ground breaking development. Building on the success of the Top Ender range, the Frontier range has been designed for serious fishos. Built on Quintrex's new Apex Hull, the Frontier features an increased flared bottom sheet for greater water contact and a smoother ride. With 4mm bottom sheets and 3mm side sheets across the Frontier range, these boats are built to last. The design features on these boats are endless with underfloor storage, scupper drain and Live Bait Tank. The 530 Frontier is available as side console or center console.